27. 01. 2019 13:23 16 (1 - Ogier Sébastien / Ingrassia Julien): You know it is the rally I want to win the most in the season, that is why I am so happy now. We had this problem with the throttle and it was pushing the car on the brakes so it was tough. I am very happy. Six years in a row with three different cars. 27. 01. 2019 11:56 15 (1 - Ogier Sébastien / Ingrassia Julien): Still struggle with an issue with the throttle, but I try as hard as I can. The throttle is still not working very well, but I am trying my best. 27. 01. 2019 11:52 14 (1 - Ogier Sébastien / Ingrassia Julien): Difficult. Because the car is not 100%. A small issue. 27. 01. 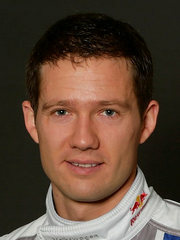 2019 11:49 13 (1 - Ogier Sébastien / Ingrassia Julien): It is ok, I can push more. 26. 01. 2019 14:57 12 (1 - Ogier Sébastien / Ingrassia Julien): The Toyota was even faster, I was pushing vey hard! It is dry now, so I can take a bit more risk. It is intense for sure, I think on the stages tomorrow the C3 will work well. 26. 01. 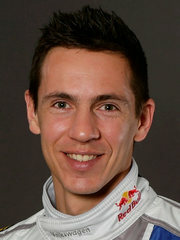 2019 14:05 11 (1 - Ogier Sébastien / Ingrassia Julien): It is very close, but I am happy it stays close on these types of stages because it is not easy to find a rhythm. Thierry can hold some back, that's fine with me! 26. 01. 2019 13:52 10 (1 - Ogier Sébastien / Ingrassia Julien): I think it is a good gap, it has been a tricky morning - especially the first stage. Still happy with a cautious approach. It is still a tough battle with Thierry but so far, so good. 26. 01. 2019 13:45 9 (1 - Ogier Sébastien / Ingrassia Julien): I'm happy, you have no idea what rhythm you have in there, it is very low grip. The gap is nothing still, everything to be played for! 25. 01. 2019 20:30 8 (1 - Ogier Sébastien / Ingrassia Julien): Thierry was pushing, I was careful on the icy section. I had no studs left anymore and it was very slippery. 25. 01. 2019 16:27 7 (1 - Ogier Sébastien / Ingrassia Julien): It was the plan. We had a different tyre choice than Thierry and we had an extra slick. There are a lot of deep cuts, so I didn't go in many of them to avoid any wheel damage. 25. 01. 2019 14:53 6 (1 - Ogier Sébastien / Ingrassia Julien): Not the best tyre choice I think, I struggled with the car. 25. 01. 2019 13:16 5 (1 - Ogier Sébastien / Ingrassia Julien): Everything was okay. I don't know which tyre everyone was on, there was a lot of ice where I was too careful for sure but it is a tricky stage for sure. 25. 01. 2019 13:05 4 (1 - Ogier Sébastien / Ingrassia Julien): The cancellation of the previous stage was a big pity for us. This stage wasn't very nice with the studded tyres. 24. 01. 2019 20:34 1 (1 - Ogier Sébastien / Ingrassia Julien): For sure it was safer with studded tyres, for sure he will be faster in the next stage but for this one I'm not so sure.